I know you are desperately looking for a solution or a tool to remove "Autorun.inf" virus (WIN32/VB.NAY) or "Antivirus 2008" misleading application from your computer. 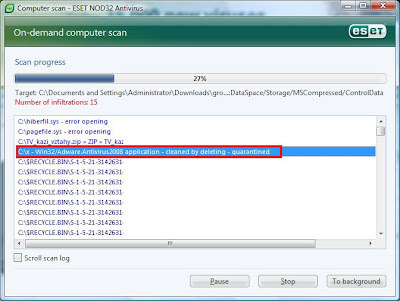 Here is the easy and free solution "ESET NOD32 Antivirus". 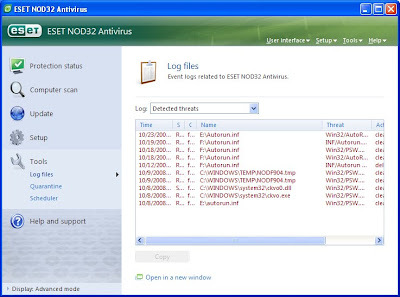 I have recently purchased an original ESET NOD32 Antivirus and installed it on my "Test computer", the Antivirus instantly Quarantined/Deleted two the most difficult to remove computer virus "Autorun.inf" and malicious program "Antivirus 2008" which i purpose fully installed in my "Test System". Trial version is also capable of quarantining these harmful programs. This anti-virus is capable of removing all types of threats from all types of storage drives including External hard-disks, USB Drives, Memory sticks etc.